I remember only bits and pieces of grade school. I have a vague memory of riding the school bus. I don't remember his name, I just remember he was very overweight. On the ride home when we got to his stop, he would stand up to exit the bus and that is when the chorus would begin. BOOM-BA! BOOM-BA! BOOM-BA! He had to run down a long hill to reach his house and the chorus of voices that yelled out the windows certainly followed his ears the whole way down. And I think of this young boy with his young boy heart and his young boy soul... And his Momma whose heart surely must have ached as she welcomed her crushed boy through the front door. I honestly don't remember if I BOOM-BA'D, but I probably did. I wore a back brace for scoliosis and frequently went through periods of time where I didn't have any friends. I was probably relieved it wasn't me they were teasing. I know for certain one thing I did not do. I did not stick up for this boy. I did not tell everyone to SHUT UP or sit down. I did not do a single thing to show him he mattered in the world. I was silent. Martin Luther King said, In the end, we will remember not the words of our enemies, but the silence of our friends. It's been 30 years and I still regret my silence. I'm a different person today. One that speaks up, even if it feels uncomfortable. I didn't even think of this story of the boy on the bus until I thought about what the future may look like for Greyson. I am unable to go back in time and change my actions, but I can help change the world for our future. I won't tell you to make sure to raise a kind and empathetic little human. Of course you are all doing that. These back to school words, written by Glennon Melton should be required reading for every human in the World. Like the rest of the Universe, her words touched every little bit of me when I first read them. But unlike the majority of you, they touched me because I am raising an Adam...not a Chase. Sometimes people write and ask me, How can I help you change the world within my family? One Momma asked how I would want her to describe Greyson and Parker to her children so she can show them the right way to think about autism. All weekend I thought about that awesome question. I was feeling so blessed and so lucky that so many people are willing to help. It's like getting presents for no reason at all. Although I think autism is a bad and scary disorder, I don't want it to be a bad and scary term. I want us to be comfortable using it like we would any medical condition. 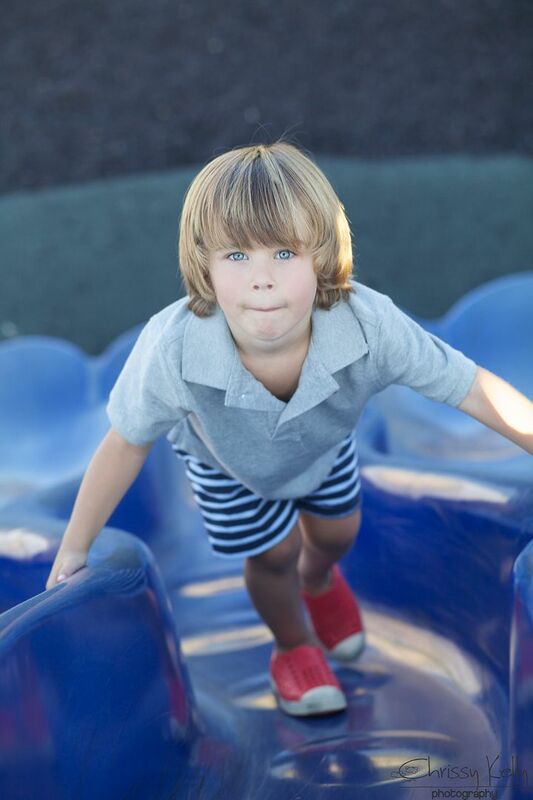 I want to be able to say it on the playground, My son has autism, and not feel weird and make others feel weird too. I want people to see a non-verbal child or a screaming melt down or a child with their hands flapping and recognize all these things as signs of autism. And the words I thought I would share with my own children at the beginning of every school year changed into different words that I so desperately hope to share with your children instead. That's where truth and change for our future lies. Will you help me? Will you hold my hand and remind me I'm not alone in this fight? I would be so honored. This is my son, Greyson. He is my whole world. He loves running outside, playing in the pool, swinging and playing with cars. In many ways I bet you and Greyson are a lot alike. Greyson has grown my heart a million times bigger, just like you did for your Mom and Dad. Greyson has autism, which we sometimes call Super Powers because it sounds cooler, and Greyson's a pretty cool little dude. Like asthma or food allergies or diabetes, autism is something that Greyson was born with that makes him different on the inside. Don't worry, you can't catch it. 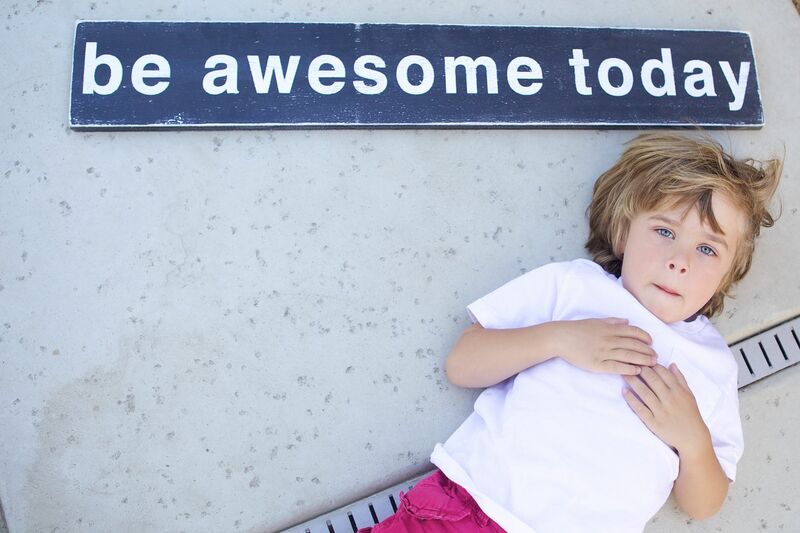 Your school classroom is filled with all different kinds of amazing and awesome kids. Some kids are different on the outside. They may wear glasses or braces or use a wheel chair to get around. Our differences make the world beautiful. Life would be so boring if we all looked exactly the same and talked exactly the same and were good at exactly the same things. You may have a boy or girl like Greyson in your classroom this year too. Having autism makes it very hard for Greyson to talk and to play with other kids, things that you and I learned to do naturally. Sometimes it seems like Greyson is being bad or mean. He often doesn't share toys. He has trouble following directions. He sometimes screams when he gets frustrated. Greyson usually plays by himself. You may say hello to Greyson, and he may not answer you or even look up. Those are all things that we try to help Greyson learn to do every single day. He works really hard at it, but it just doesn't come easy to him. Every time you interact with Greyson, you are helping to teach him too. It takes Greyson much longer to learn new things. Simple things that you may learn in an hour or a day can take Greyson weeks or even months. Just like there are complicated things that you have had to do over over again before you could learn. Like riding a bike, doing long division or tying your shoes. I remember being a kid, fitting in and finding friends is hard work. It's hard to always make the right choices. Being kind is always the right choice, I promise. I know your parents teach you all about being kind to others. I have one more very important favor to ask of you. Can you help me? Even if he doesn't respond at first, say Hi to Greyson and kids like him. Ask them to play with you. Help them if you see them struggling. Please don't let them eat by themselves or play alone. Practice being patient when something takes them twice as long. If you see others making fun of Greyson, or any child like Greyson, please speak up. Ask them to stop, or tell your teacher or parents. That is not being a snitch, that is helping someone who can't help themselves. Sometimes it is easier to stay quiet, but I promise you, if you speak up, you are doing a brave and good thing. You will feel proud of yourself. You will also make me so happy and so proud too. It's not okay to make fun of anyone for being different. At one time or another in your life, you will be in a situation in which you are the one that is different and I want you to know that it is okay too. No one is allowed to make fun of you either. You are amazing just the way you are. Just like Greyson. School is a great place to learn about Math and History and English and Science. It's also a great place to learn how awesome it is to celebrate our differences, to learn how to do the right thing and to learn how to help others. Those are skills you will use for the rest of your life. I'm trying to change the World for my son Greyson, and for all kids with Super Powers. I can't do it without your help though. Will you help me? If you have any questions feel free to ask your Parents or Teachers or me. Thank you. All it takes is two eyes at a time. I could never do this without you. It's already a Monday Friend. WE CAN DO THIS. We've done it a million times before. Greyson has some advice for you to get you through the day. A special thank you to my awesome Friend Kristi for our awesome- awesome sign. Bring Greyson to Riverview elementary! We would love to have him! Last year I posted Glennon's letter to Adam before school started, and printed it up and put it on my daughter's mirror to read the first day of school. Now it will have a companion piece. Our school is actually pretty extraordinary in the way that it fosters relationships between the kids in my classroom and the gen ed kids but I will have a copy of this in my desk as well. What a beautiful teaching tool. Well done- really. That's beautiful. I too, sat by while others were mean too often. I was a shy girl who just didn't want to be noticed but there's no good excuse. My girls are 2 1/2 and 2 months old and I hope to raise them to be strong enough to withstand the meanness and strong enough to stand up against it. Thank you for sharing your heart and giving me a tool to teach my girls. I read Glennon's letter to my kids last year before they started school and now I will read them BOTH of these letters before school starts next week here in Nebraska...thanks for your great words! I really want my kids to be brave, be kind and do the right thing! Thank you for this invaluable tool. I hope you realize how much you are already changing the world, day by day. If you have reached and taught me, then I know you have reached 100s if not 1000s more. Have an AWESOME Monday! I found your blog via a Facebook post from Barn Owl Primitives. This is a beautiful post, your photography is beautiful and your boys are absolutely adorable. I too have regrets for not sticking up for the kids that got picked on. I was shy myself, sitting there most times hoping no one would notice me. This post became near and dear to my heart. My oldest nephew (he turns 5 on the 14th) was diagnosed with autism. I just hope he doesn't become that boy on the bus as it would break my heart to see any child have to suffer through any type of bullying. What an incredible post! It is my honor to share this with my friends and family. Sending big hugs to you and your precious family. Greyson sounds a lot like my son Logan diagnosed with Autism Spectrum Disorder. 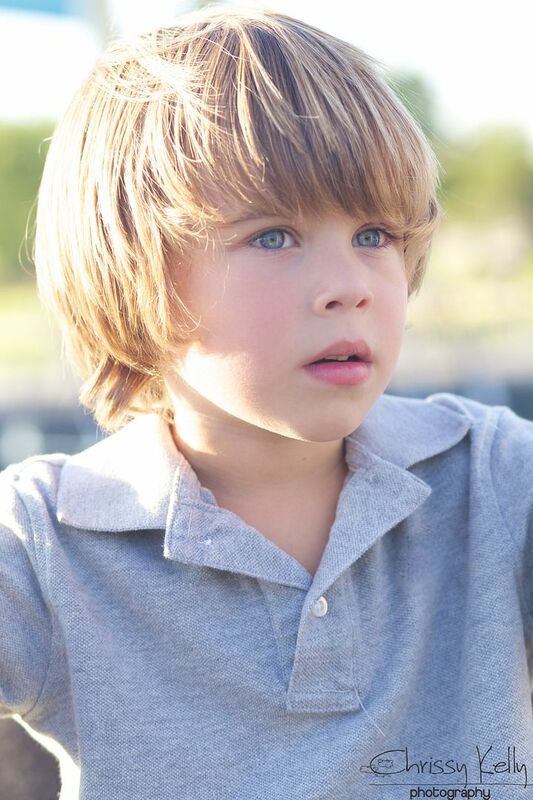 He has many of the same characteristics as Greyson. Sometimes I have to tell my son to say "hi" back when someone says "hi" because he doesn't always respond. He too plays by himself a lot but enjoys being around other kids and wants to play with them, and he does play with other kids, but just sometimes "typical" kids won't want to play with him. Socially my son struggles. Sadly I have not only had kids shy a way from him because he is different, but I once actually heard a parent tell there child to stay away from my son because he was having a meltdown and in their mind probably acting weird. Sadly sometimes parents can be just as judgemental as kids. I can't even begin to imagine what it is like to live as my son lives. He has to try twice as hard at what comes naturally to other kids. I was just so glad to read this though and see my son is not alone. He is differently-abled but not disabled! Beautiful, friend. I wasn't brave either as a child, to stand up for those being bullied. I hope to raise my son to be one who does. Sharing this with him will help me do that. I am printing it out and we will talk about it, then I will fold it up and stick it in his sock drawer, so we can pull it out and talk about it often. Thank you for sharing this and giving me tools to help my son grow to be a brave & compassionate young man. This was so beautiful!! Love reading your blog and looking at your gorgeous pictures. I have two boys who are 3 and 5 and starting a new school in September. I have been trying to talk to them about being kind and how everyone is special in their own way and how boring the world would be if we were all the same. I can't wait to read them this post. Thank you so much. PS. So very glad I am not the only one who watches Princesses:Long Island. xoxoxo. MAGNIFICENT!!!!!! Thank you for having the courage not only to share with us about your heartache as a mother, but also to be vulnerable enough to share your regrets about the past. We all have them because we all get caught up in moving to fast, "going along," getting through - we all need to read things like this to wake us up, to propel us forward to set better examples for our children. I am a French teacher and I only get to see my students for 30 minutes each day, but I often tell them that teaching them how to be kind-hearted, loving, respectful human beings is more important to me than if they ever speak another word of French. Thank you! I LOVE THIS! Thank you so much for sharing! I can't wait to read your letter to my children tonight! I just recently found your blog through a random Google search, but I'm so glad I did. I'm not a mom, but a high school student and I have a good friend who has super powers. I've seen him be taunted and talked about, but I've also seen him be stood up for, seen him being played with or invited into a group project, I've seen him start on the JV football team, and most importantly, I've seen him be accepted. He's the sweetest boy in the world and for every time he's been mistreated, there are a hundred times he's been stood up for and accepted not just by me, but classmates and our peers. Your letter speaks volumes and I hope as many children as possible read this so people like Greyson and my friend will never not be accepted. Thank you! Thank you so much :) but I really want to thank you for all that you're doing through your blog. I read through a lot of your old blog posts and I must say you have a really beautiful thing going on here. As I return to school on Wed. your words mean the world to me. Watching my friends with Super Powers trying to navigate the playground world and those few brave kids who befriend them and help them learn how to be a friend, is one of the most painstaking, yet beautiful parts of my job. Your words bring tears to my eyes. This is what I will now say to those children who approach my friends and ask me why they are different, or don't respond as expected. Thank you for your words. I run lunch bunch social skills groups at my junior high campuses and we try to get a mix of students with special needs and gen ed peers. We talk a lot about friendship and including others. Although my students are a little older than your target audience, I think your words will still resonate with them and I will read them your letter. I will also read it to my oldest girl, who starts kinder in two weeks. We've already talked a lot about being friends with kids who are different from her and how that's a good thing because we learn a lot from people who are different from us. But I think pairing your letter with the pictures of Greyson will give her a good example. Just read your letter to my kids. What a wonderful tool you've given us parents to broach autism and many other topics. Thank you. Love your pictures too! I loved this post as I love everything you wrote. I try my best to teach my children to be kind to others in every situation. As a kid, I was painfully shy and would be teased by classmates and friends so I wanted to be invisible and couldn't stand up for myself, let alone anyone else, so I understand where you're coming from. I wish we could all be kind and brave, and I do my best to make my kids and even their friends more aware. I will be reading this to my son, who is 13 and has been surrounded his entire life by individuals with super powers. My husband and I both worked with children and adults that have Autism and we felt it the right thing to do, to immerse our son from an early age in that atmosphere. We wanted him to understand it isn't a disease, it isn't something to be made fun of. They are just people, created differently then he, but still God's most special creation, in need of care, love, and acceptance. I have been showing him your pictures of Grey and Parker when I read your blog. I hope one day he will carry on in his parents footsteps by standing up for and loving those that many others don't understand, and shy away from. Thank you for sharing your life with us, and the world. This is so awesome!! As a speech path in the schools, I returned to work today. Students start on Thursday and I will be sharing! Keep Calm and Continue Changing the World. Ok--This is a fabulous post! We raised our boys (and our girl) to never judge a book by its cover...and their variety of friends, I think proves it. My boys are the ones who will befriend the new kid, the loner, etc. One of my sons has scoliosis, very severe, and has worn a brace for the majority of his life...and has gone through a period without any friends in school besides his twin brother or cousins...which broke my heart several times. I think, in the long run, this has 'encouraged' him to not let other kids go through what he had gone through. They are great boys who are now 15, and stand up for what they think is right. I hope my DD who is almost 4 will follow suit. Good luck to you and your guys---I think you are doing a great job!I am sharing this on my blog! I always think it is best to explain things to children. Every person is different and brings something to share with others. Your words are powerful for all children to hear. As a teacher I remind students that the outside of people is just the wrapping paper, you have to open it to find out what is inside. This post means more to me than the Adam letter, because I have an Adam too. My son Toby is going into kindergarten this year and is on the autism spectrum. Toby doesn't exhibit lots of normal autism signs, so it's harder for me to explain his diagnosis to people. (He talks constantly and to everyone, among other things.) This year he is going to a diagnostic kindergarten, but I am worried for when he gets to first grade and is integrated in with the "normal" kids. Our kids with Super Powers are just so sweet and innocent to me. I don't know about Greyson, but Toby often doesn't get it when other kids are making fun of him. I am grateful for that and I hope it lasts. I hope he doesn't get it for a long, long time. Anyway. Just wanted to say hey, from this corner of the spectrum. hello my name is Nate and i am 11 years old.I don't have autism but i do have a cleft lip and pallet which means my nose is a lot different from others.So i can relate to Greyson because I get made fun of and excluded a lot in school and a lot of other places just because of my differences.So i would like to thank you for this amazing and touching post.So thank you. Beautifully written Chrissy! I cried on multiple levels...as a lover of Glennon's letter (makes me cry just thinking about it), as a special education teacher, as a mother and as one who knows that "alone" feeling. Teaching our kids to be brave whether it's standing up to bullies or standing up for those being bullied is so important! Thanks for writing and for sharing! Excellent reminder. Absolutely incredible post. It looks like Greyson has a wonderful mother and good friends, this is also going to be a great help to him. I am using this blog post tomorrow with my 5th grade students. We are studying the novel, Rules. (Which is great by the way, and I am positive you would love it!) Thanks so much for sharing your point of view. I know my students will learn so much from you. Thank you so much Amye!!! !